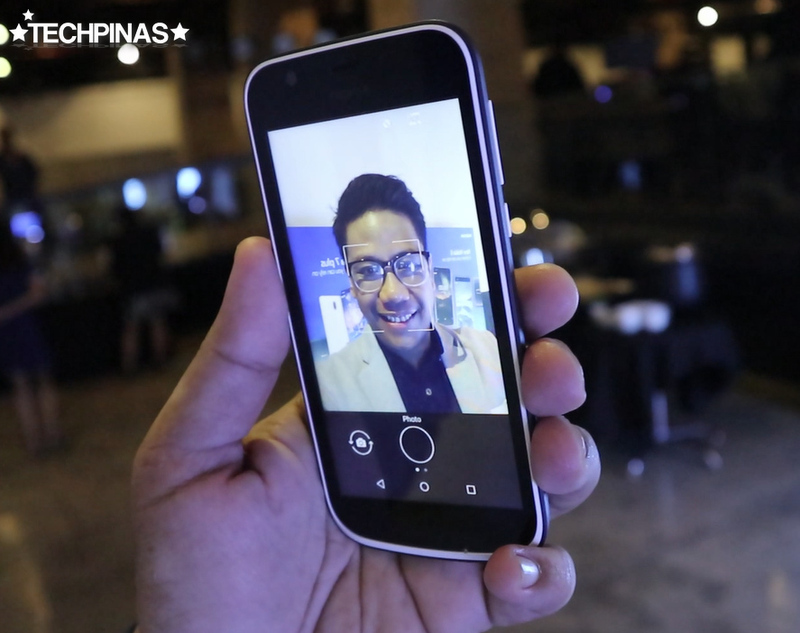 The much-awaited Nokia 1 2018 Android smartphone, which is both easy on the pocket and the wallet, is now officially available in the Philippines. You can get this model at all authorized retail channels of HMD Global Philippines across the country -- and online, including argomall, which delivers brand-new handsets with official brand warranty right to your doorstep. 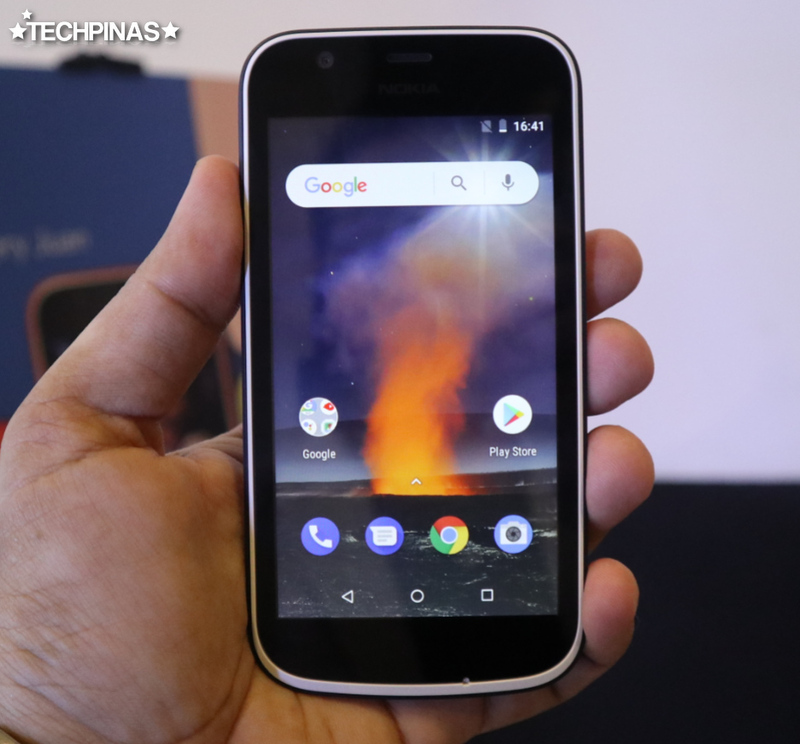 The official suggested retail price of Nokia 1 in the Philippines is Php 4,290, which effectively puts it in the entry-level category. Frankly, the device has pretty basic technical specifications for a 2018 Android smartphone -- but it does have its own charms. As of writing, the phone only comes in two color variants in our market: Dark Blue (which I have here) and Warm Red, which is very eye-catching. Looks-wise, what I particularly like about this model is that it has a no-frills design language. It doesn't have unnecessary embellishments that would have made it look tacky. In terms of build, the shell is mostly polycarbonate, which is - needless to say - less luxurious than real metal. But it's nice that the back plate has a matte finish so it doesn't attract fingerprint grime all that much. 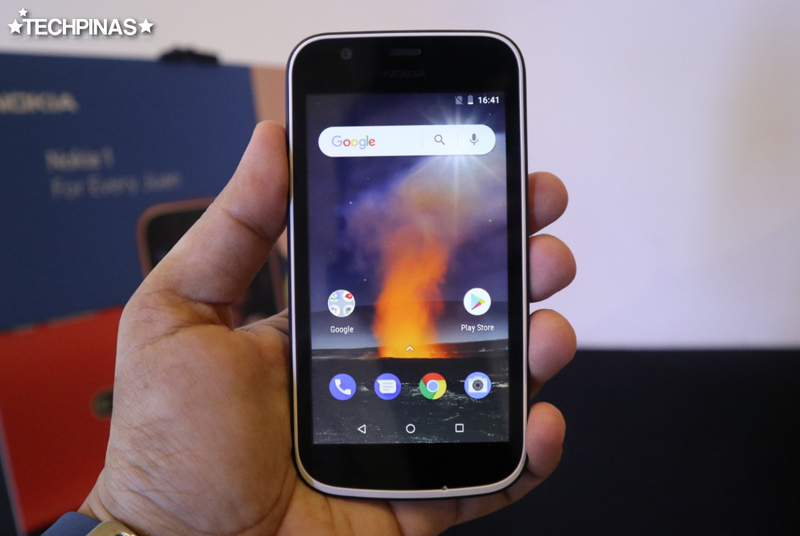 Nokia 1 runs the Go Edition of Android Oreo operating system on its 4.5-inch 480 x 854 pixels IPS display. This version of Google's mobile operating system was made specifically for handsets with modest internal hardware, which means that is far less taxing on resources compared to the regular version. As such, even if Nokia 1 is far from being a beast of a smartphone, its lightweight OS with pre-installed apps pack allows it keep lags and stuttering in check. As for imaging features, the handset has two rather low-resolution cameras. 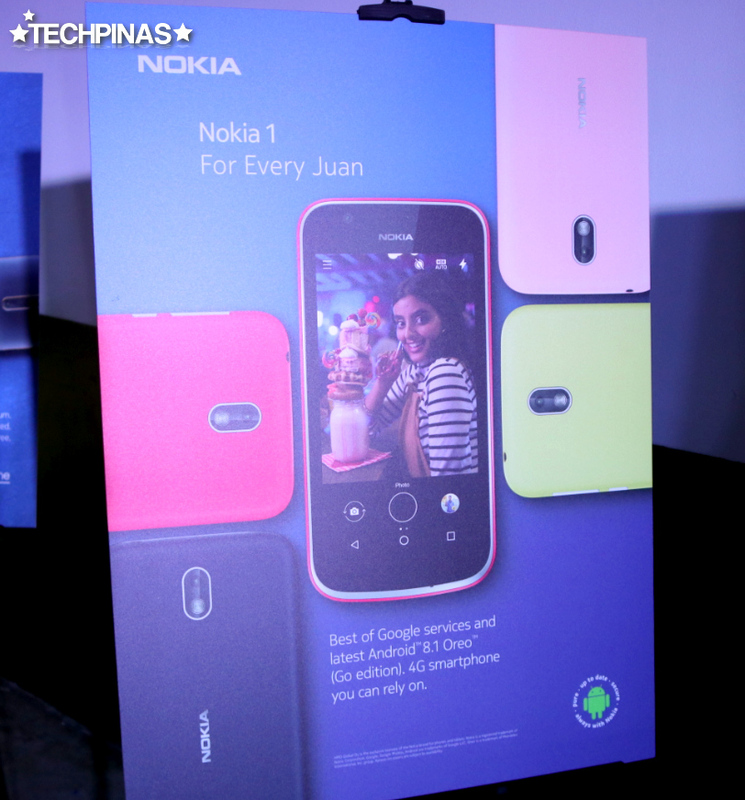 At the back, there's a 5 MegaPixel shooter with LED flash. And in front, we have a 2 MP selfie-snapper with smile and face detection. Although you can't really call both of these cameras "powerful", they are capable of performing decently in well-lit settings or conditions as shown in the selfie-mode above. 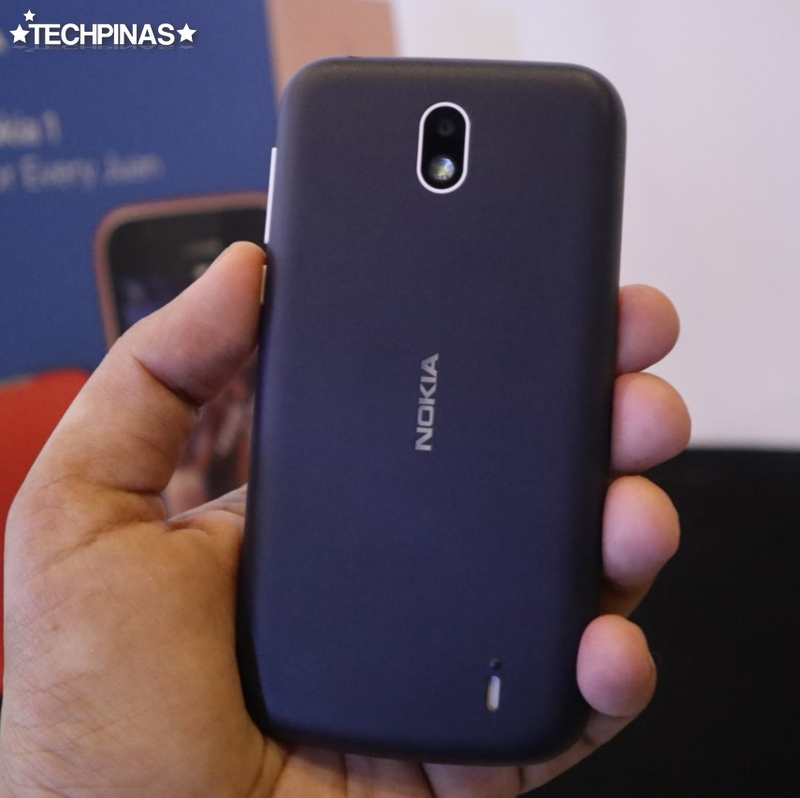 Under the hood, Nokia 1 is powered by a Quad-Core 1.1 GHz ARM Cortex-A53 and Mali-T720 based Mediatek MT6737M processor that's complemented by 1GB of RAM and 8GB of storage that's easily expandable via the hybrid secondary nanoSIM slot that can also take in microSD cards. Again, although this set of innards won't make for a gaming beast or a multitasking powerhouse, I think it's more or less good enough for a PHP 4,290 smartphone by an international company this year. 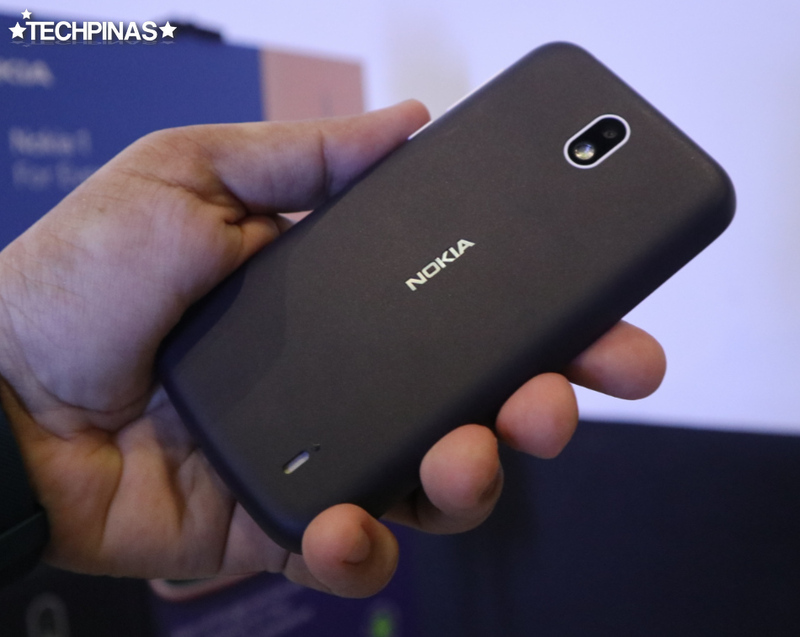 Powered by a removable 2,150 mAh Li-Ion battery pack, Nokia 1's connectivity options include WiFi, Bluetooth, and 4G LTE, which means that you can enjoy ultra-fast mobile data speeds on the go via this model. 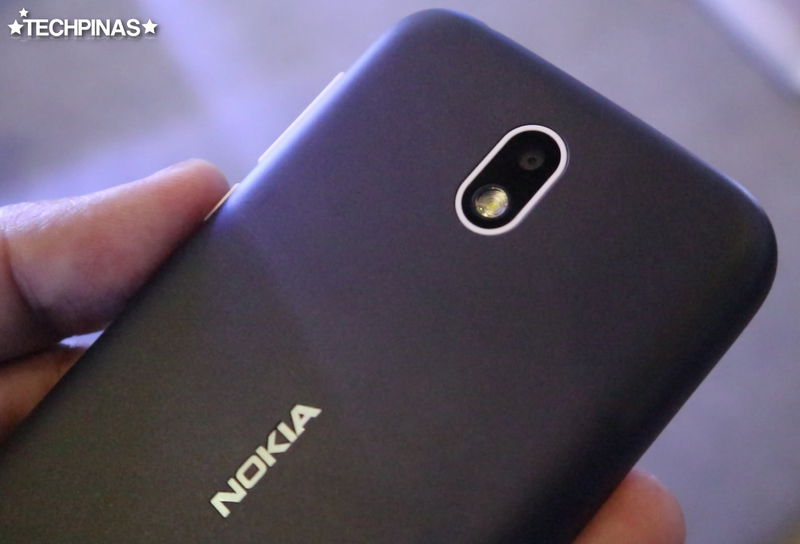 Oh, and perhaps the coolest thing about the Nokia 1 2018 is that HMD Global made swappable Xpress-On Covers for it! A throwback to the Nokia Xpress-On covers of the past, these shells allow the user to change the look of the handset instantly to reflect his or her mood or to match an outfit. 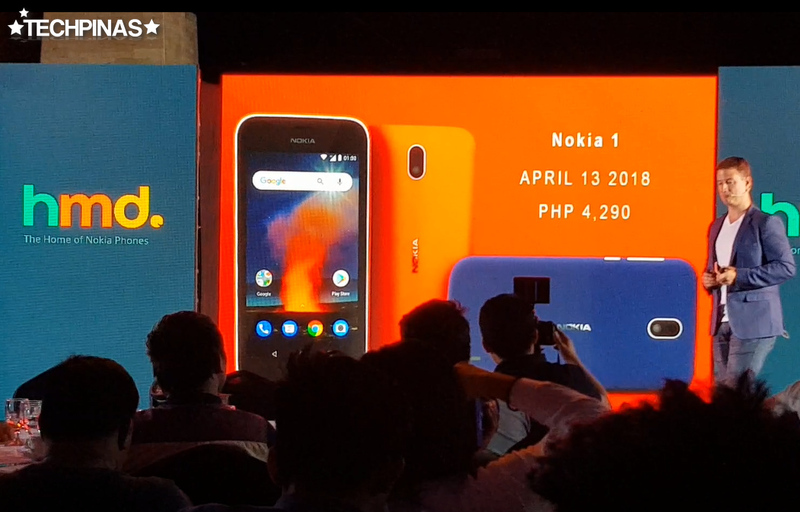 Mr. Shannon Mead, Country Manager of HMD Global Philippines, told me in an exclusive interview (which you can watch on Youtube) that their Xpress-On covers for Nokia 1 will be available within a few days following the handset's market launch and will be offered in packs of two. Is this the right smartphone for you? If you're planning to finally get your first Android smartphone by a global brand coming from your basic feature-phone with an alpha-numeric keyboard and you're a bit tight on budget, go ahead and check out this one. Also, if you're looking for a durable secondary smartphone that's not particularly expensive, Nokia 1 should be one of your top options. 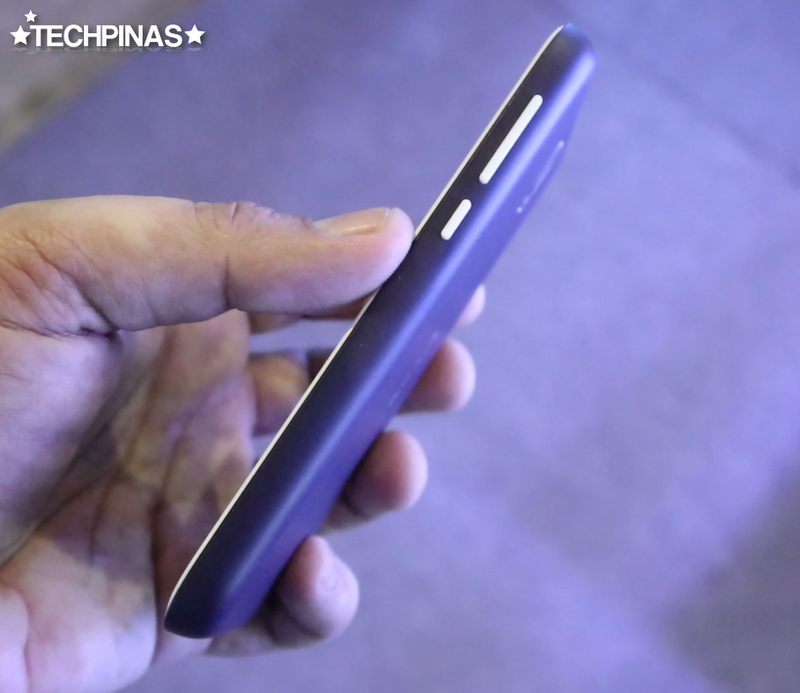 TechPinas Key Remark Nokia 1 is the most affordable Android smartphone in HMD Global's 2018 handset line-up.